This year's iPhone event is done and dusty and now we are all in the interregnum between the ads and the reviews. I've been lucky enough to blog these events for years, but the process of creating a live blog is strange. I took pictures for the website under the keynote, and since I'm a "spray and pray" kind of photographer I took up 1600 pictures in just a couple of hours. I'm just pointing out that my attention was more focused on what Apple did than the reaction to it. I only had so much bandwidth, and most of it was taken by the camera. So when I had the chance to look at all the covers (and Twitter jokes), it did not come as a big surprise to see that there was a lot of shrugging this year. The "S-Year" settings often feel like downers to the tech world, although S-Model iPhones are often Apple's most popular and dear devices. Apple has a pattern and it is attached to it. It's probably too early to say if this sales pattern will repeat itself this year, but since my attention was dominated by the keynote, crystallized another kind of pattern for me like I talked with the camera: Apple's structure for announcing new features has a very specific and repeatable narrative structure. So it's this week's processor (hey, it's back!) Is about. Perhaps Apple's framing technique was so easy to see because there were fewer product messages this year and the ads that took place were so easy. I saw Apple framing of product messages in a way similar to how George Lakoff is talking about politicians who are having trouble. The year's frame around the camera was particularly fascinating. Perhaps the innovation on the iPhone XS that will be most noticeable to the customers is the camera. 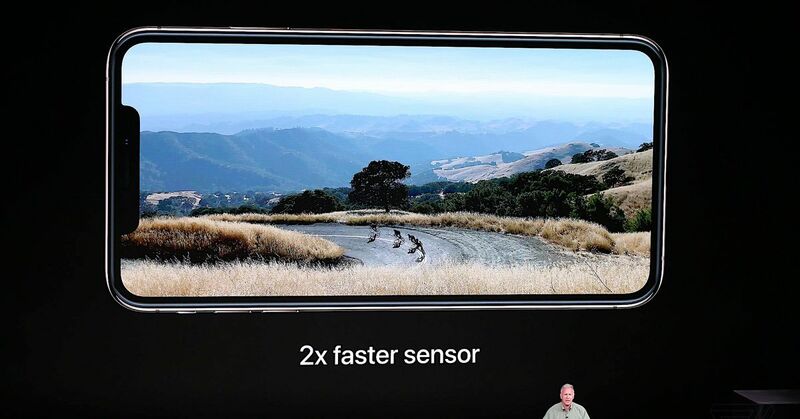 And with that camera, Apple tries to do something very similar to what Pixel 2 does: it takes more pictures at once, it sews them together, and it makes more calculation. But you know what was not mentioned at all under the keynote? All other smartphone cameras. Apple would prefer to hit the new iPhone as a thing that comes closer to replacing a DSLR, not like a thing that's in scrum with other smartphone cameras. Apple sets the terms for the world and the things contained in it. That's the frame. This gives us a basic principle for framing when you argue against the other side: Do not use their language. Their language picks out a frame – and it will not be the frame you want. Apple continues to make these keynotes special to make that frame and tell that story. They do not exist (only) so you want to know what the new feature or product is; They exist so you can see yourself as a sign in Apple's history. They are Apple's best opportunity to set the terms of discussion for their products. Even in an S-year keynote, where announcements are not game changing, Apple can still use this narrative structure to shape how people think of their products. There may be more more important in an S-year. I do not think Apple is unique with the conscious use of a narrative frame as a technique, but I think the company has shown one deeper, more conscious awareness of its structure and significance than anyone else. It knows that most people will forget about the feature, but remember the story bow – or at least remember the sense that the arc of history is intended to evolve. To be clear, I do not refer to these rhetorical techniques because I think they are somehow uncomfortable. Apple can use tactics we often see in political discourse, but it does not mean that it's just propaganda. It is marketing. And Apple has proven to be very good at marketing over the years.